Social media company Twitter released its fourth quarter earnings today, and inside the report was a number that the company had never released before. 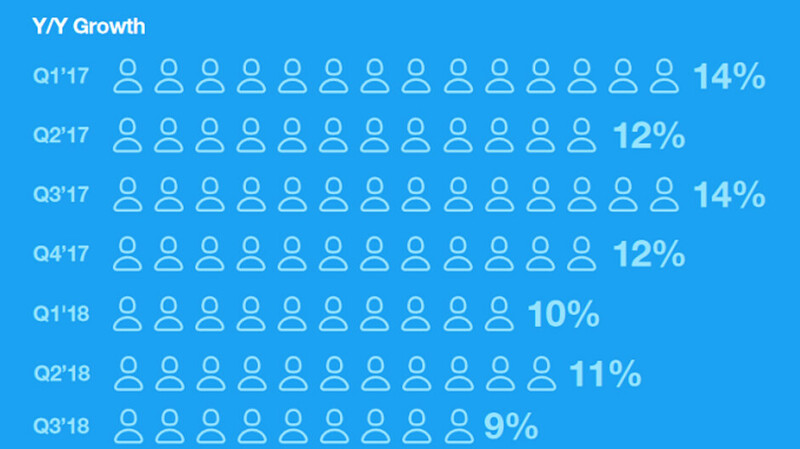 For the first time, we now know the average number of daily users found on Twitter during a three month period of time. During the fourth quarter of 2018, Twitter announced that 126 million monetizable Daily Active Users visited the site on average each day. These are Twitter members who use the official website or mobile apps to access their account. The figure represents a 9% gain from the 124 million daily users seen during the third quarter of 2018, and a 9% gain year-over-year; double digit growth was seen in 50% of Twitter's top ten markets. The number of monthly active users actually declined from 326 million in the third quarter of 2018 to 321 million during Q4. Revenue rose from $723 million in the fourth quarter of 2017, to the fourth quarter of 2018. Advertising revenue over the same period rose from $644 million to $791 million. 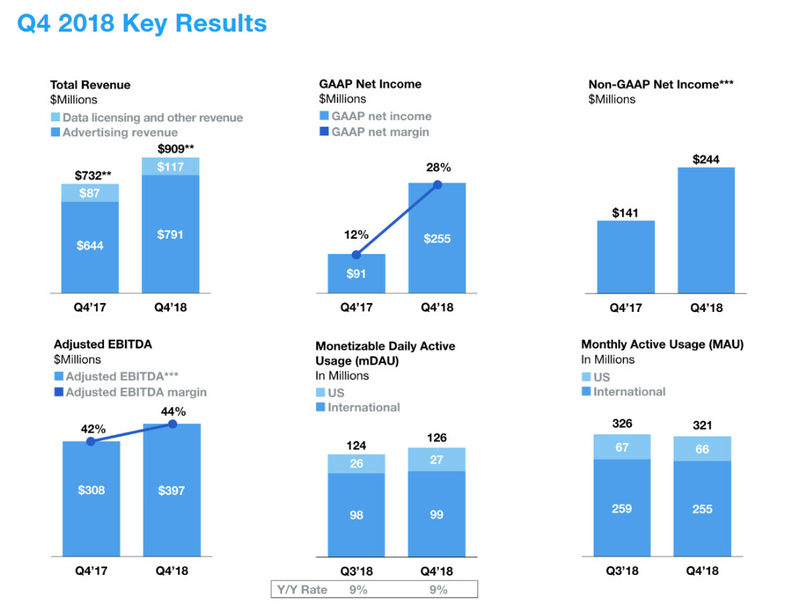 Based on GAAP (generally accepted accounting principles), Twitter made $255 million in the quarter, up from $91 million reported during the same quarter a year ago. GAAP net margins rose from 12% to 28%. More importantly to many, the number of abuse reports from October through December declined 16%. We're not sure how Twitter measures this, but the company added that enforcement on reported content was 3X more effective. During the quarter, Twitter sent out an update that allows both iOS and Android users to view their "Top Tweets" first, or read their feed in chronological order. Investors lopped nearly 10% off the stock price of Twitter today. The shares closed down $3.36 to $30.80 in regular trading, and dropped an additional 4 cents a share in after hours trading.